Excelitas Technologies Corp., a global technology leader delivering innovative, customized photonic solutions, will unveil its new 1x64 Silicon APD for use in LiDAR applications at Photonics West 2019. An expansion to Excelitas’ C30737 APD series, the new avalanche photodiode (APD) array provides a high 64-pixel count for higher-resolution systems, enabling better detection of objects around a vehicle in next-generation LiDAR systems. The 1x64 Silicon APD, when paired with Excelitas pulsed laser diode arrays, enables a LiDAR system to detect reflected light that bounces off a target in front of the vehicle. This creates a high-resolution point cloud image of the surrounding area, enabling the vehicle to see and take appropriate action in order to safely navigate to its intended destination. 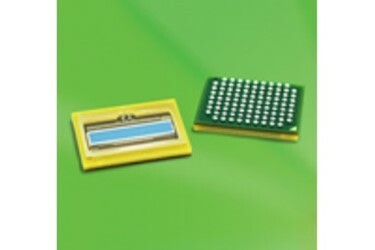 The high-resolution 1x64 APD enables a customer to use smaller optics, thus reducing system cost and providing better signal-to-noise ratio for longer-range detection, beyond the 200 meters required for safe forward-looking sensing. The 1x64 Silicon APD is supplied in a compact surface-mount package, suitable for high-volume pick-and-place assembly lines. The product is available off-the-shelf or customized with pixel geometry, spacing and number of pixels to match the customer’s optical system. Electrical characteristics can also be customized to fit with the receiver electronics. Excelitas’ high-performance, high-volume silicon APD arrays are assembled in a TS-16949 automotive certified factory and targeted for automotive-grade (AECQ) qualification. Excelitas Technologies Corp. is a global technology leader focused on delivering innovative, high-performance, market-driven photonic solutions to meet the lighting, detection and optical technology needs of global customers. From biomedical technology to research laboratory, safety and security, consumer products, semiconductor, energy and environment, industrial sensing & imaging, defense and aerospace, Excelitas Technologies is committed to enabling our customers' success in their end-markets. Excelitas Technologies acquired Qioptiq in 2013 and now has approximately 6,700 employees in North America, Europe and Asia, serving customers across the world.